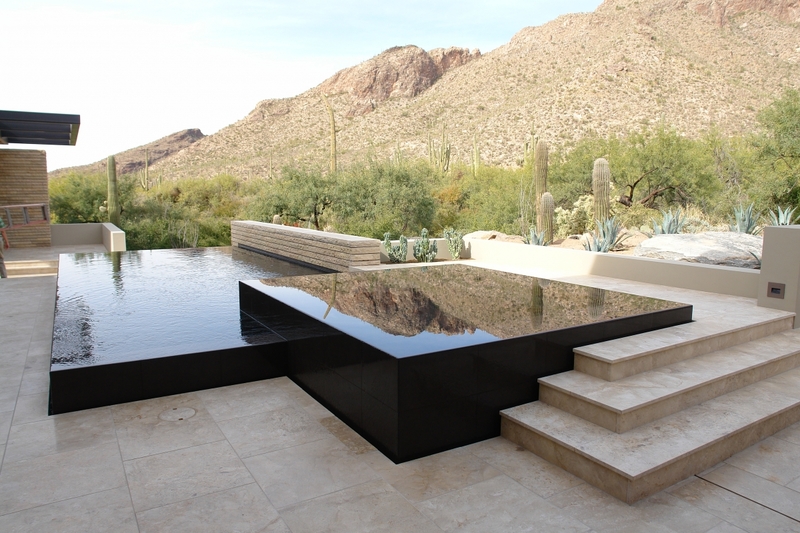 Most contemporary pools are some version of a rectangle. 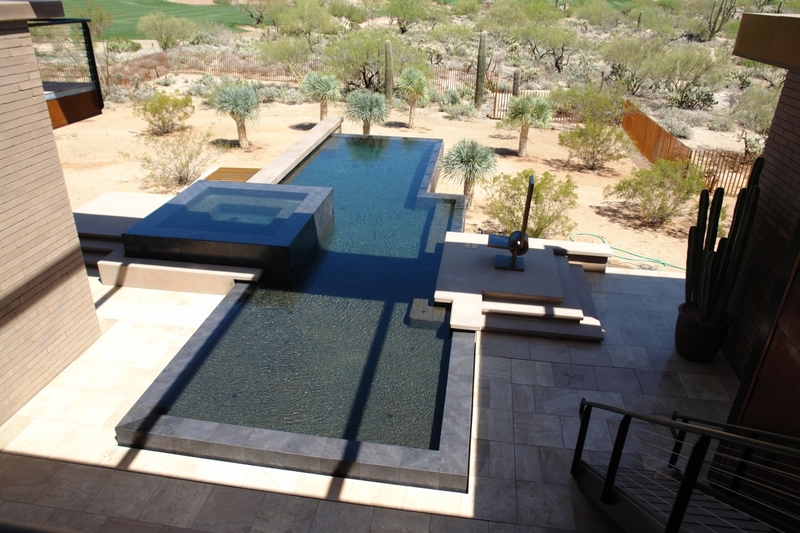 The rectangle used to be the shape most often selected when residential pools became popular, years ago. They were fairly deep in the deep end, usually 8’ to 12’. The majority of them featured diving boards. Eventually, consumers decided that the rectangular contemporary pool was “boring” and required pool builders to design curvilinear pools. The first one to become the rage was the kidney-shaped pool. But opting for a curved pool means giving up some swimming area. A 15’ x 30’ rectangle offers 450 square feet of surface area; by comparison, a 15’ x 30’ kidney only offers a 404 square feet swimming area. About 10% less. As contemporary homes became architecturally popular, pool shapes went back to various versions of the rectangle, with offsets. Some contemporary pools have curved sides, most are straight. Another generation of design change came about when pool designers included raised deck areas next to the pools. This made designs more interesting. You can see both types of design in the gallery below. Cimarron Circle has innovated a great deal in designing contemporary pools, not just in regards to the the form factor of the pool and its deck, but also in the materials used and the landscaping of the area around the pool. Along with these evolutions came a change in the pool depth. People discovered that not only were diving boards dangerous, but an average 80% of the time spent in a pool is in an area where you can stand up. You will only tread water so long before you get tired. 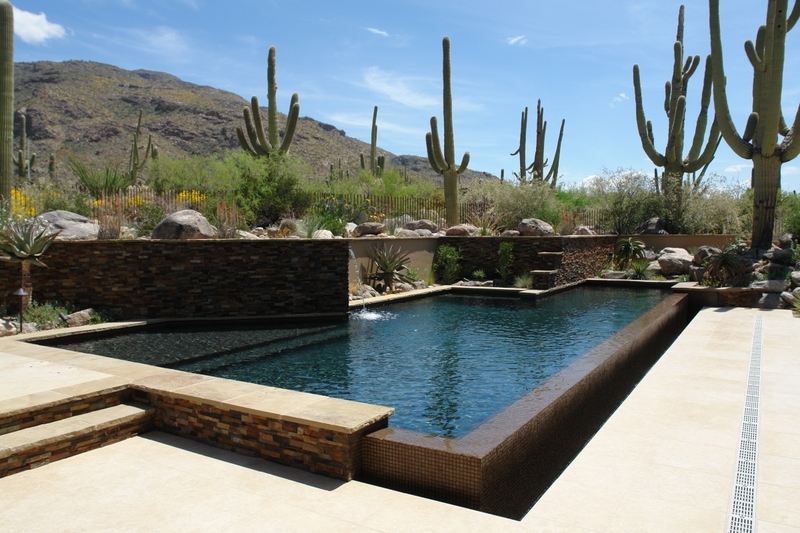 As a result pools became shallower, and most of today’s contemporary pools are not deeper than 5.5 feet. 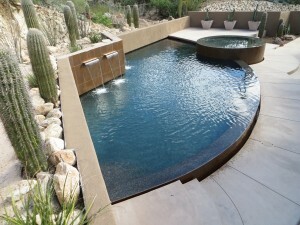 Here is a full article about a contemporary pool in a commercial project: this very large pool has just been constructed for the Ventana Canyon Racquet Club. 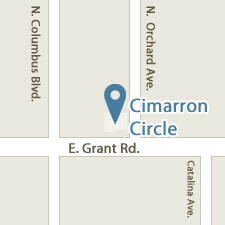 Cimarron Circle has been building pools in Tucson and surrounding cities for 40 years. Because our designers, engineers and construction workers truly pursue a quest for innovation and quality, Cimarron Circle has won numerous awards for its swimming pools and been featured a number of times in local magazines.